A company with as much history as BabyBjorn hardly needs an introduction but allow me to introduce its latest addition, the Miracle baby carrier. It comes as BabyBjorn celebrates half a century since its inception in 1961. I’ve been lucky enough to try out the new carrier ahead of its Australian release next month, and I’m suitably impressed. After carrying my beautiful but rather heavy little boy in utero for nine months, the last thing I really wanted to do was continue to carry him! I tried a different brand of baby carrier with my first son, who also weighed more than nine pounds at birth, but found the experience uncomfortable. So I was a little sceptical that any other carrier could make child carrying a comfortable proposition. Cue our first family outing with our new arrival – a day-long shopping expedition. With instructions in hand, I found assembling and adjusting the BabyBjorn Miracle straightforward, simple, quick – and above all, pain-free! The beauty of the Miracle is in the weight distribution. If, like me, you have child-bearing hips, a quick adjustment will allow baby’s weight to be taken on your hips. If, like my six foot-plus husband, you have broad shoulders, the Miracle lets you take the weight up high. 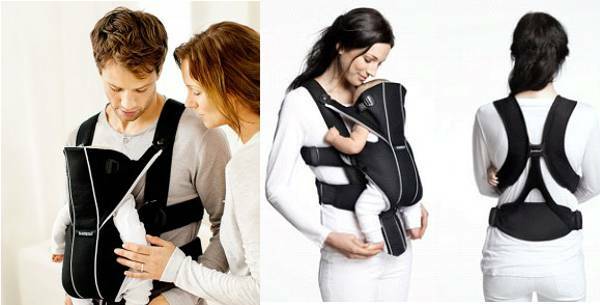 There’s no need to take the carrier off for readjustments, they can all be done with the baby strapped in. I found this particularly helpful as a breastfeeding mum, as I was able to adjust the carrier to accommodate my either increasing or decreasing bust throughout the day, making the experience all the more comfortable. Here’s a look at how the adjustment system works. We also tested the Miracle carrier on another family outing, and once again it delivered the freedom to interact with my toddler, eat lunch and explore all while carrying my youngest with me. And for the ultimate seal of approval, my precious cargo remained peacefully asleep for the several hours he was in the Miracle carrier. The Miracle can be used from newborn, as long as your bub weighs at least eight pounds or three-and-a-half kilograms, up until your child weighs twelve kilos, usually between fifteen and eighteen months. As a final nod to the Miracle carrier, here is my test subject, my precious four-week-old son Archie, enjoying the ride. 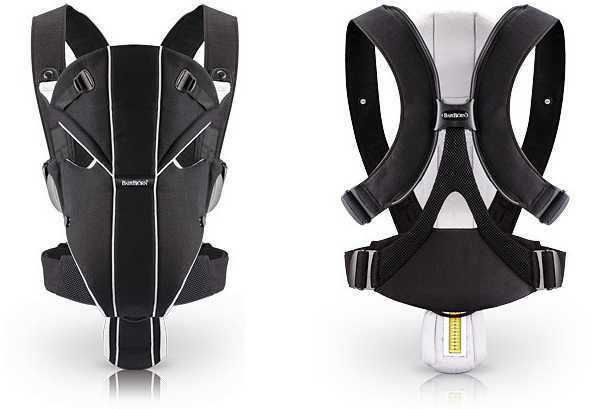 The BabyBjorn Miracle carrier will be available in July for $199.95.